This is an enormous puddle on a school flat roof. This is caused by badly designed roof drainage. We estimate that the puddle is three metres across, two meters wide and over ankle deep. This represents over half a cubic metre of water – in other words 500 litres or more! The roof is quite new and built on top of a timber deck. Was the roof designed to take this additional imposed load? No. The water has collected because the outlet (which you can see in the corner of the photograph below) has been placed at the highest point of the roof, not the lowest point. Roofs that are properly designed should have falls towards the outlets so that all the water that falls on the roof has the opportunity to drain away. Thanks to this basic design mistake, there is a mini swimming pool on the roof, which would otherwise have been functioning perfectly but is now leaking. We took core samples the roof – in the highest point where there was no standing water, of course – to find out what the existing build up was, so we could come up with the best solution for re-roofing works. Given of the amount of standing water where the roof is leaking, we will have to strip the whole roof off, even though other parts of the roof were in good condition. If the outlet had been put in the proper place there would have been no issue with the roof. 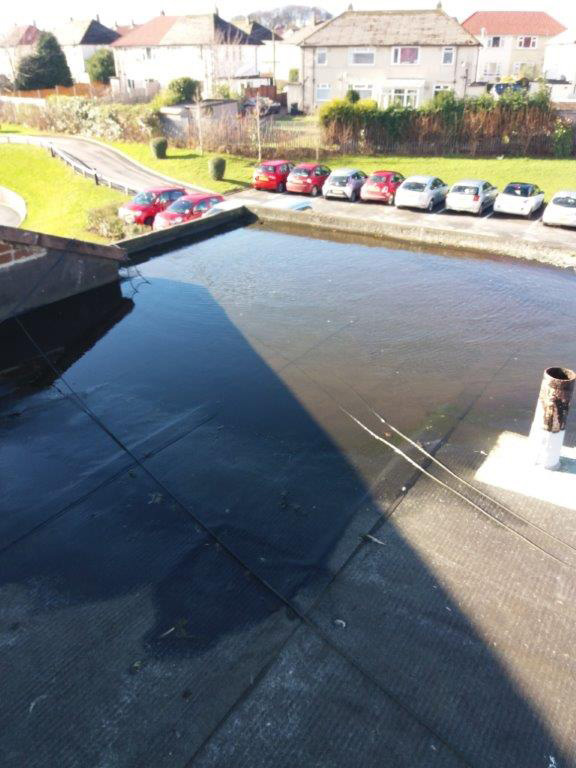 Whilst some standing and ponding water on a flat roof is acceptable, large amounts of water like this, when not designed for, will cause early failure of the roof, and will no doubt not be covered by any warrantee, because the roof will not have been designed to BS 6229 and BS8217. 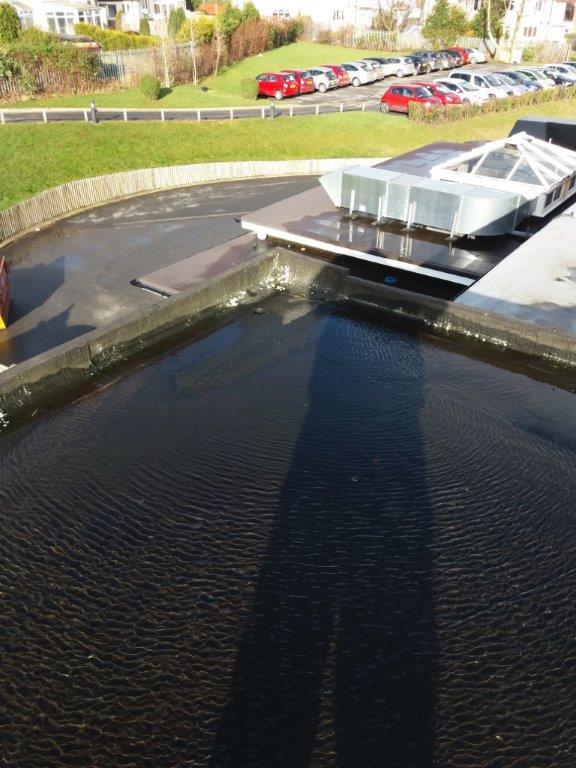 SIG Design and Technology have two safeguards to protect you from poorly designed roofs, including drainage, when you work with us. Firstly, we have professional indemnity insurance that covers design liability. This means that you are protected from any errors in our design. Secondly we issue a Single Point Warranty. As well as offering you a single point of contact in the event that anything does go wrong with your roof, SIG’s Single Point Warranty also covers design, so a roof designed by us and installed by our accredited contractors, anywhere in the UK, will be covered against failure. As a FTSE 250 registered company and the UK’s largest specialist supplier of roofing materials, SIG Plc is in a position to offer real peace of mind to schools who use our service. If you’d like to talk to us about your roofs – leaking or not, get in touch using the buttons below, ring or email us or use the contact form.